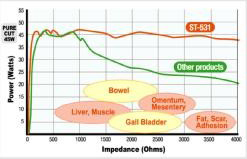 Present the best convenience at su rgery with Impedance control function! 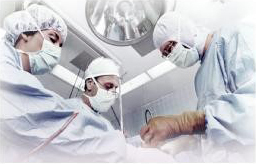 Superior performance especially at Laparoscopic surgery! 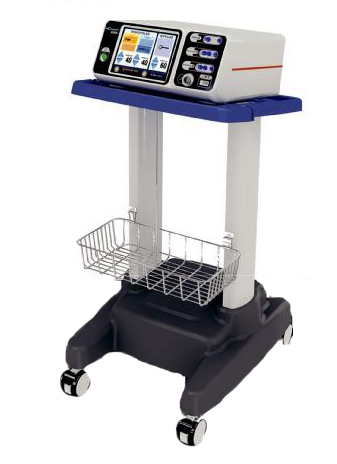 ST-531 covers all surgeries in operation room with safe and convenient device control with 300W. 2 types of cutting mode (Pure cut. 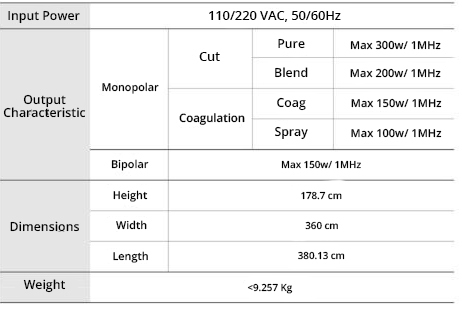 Blend cut), 2 types of coagulation mode (Contact, Spray) and bipolar mode is available and each mode has optimized wave form of radio frequency so it brings the most suitable clinical result in surgery. ST-531 intelligently performs smooth or powerful coagulation according to situation. Pure cutting without spark and no carbonization is feasible due to our advanced electrosugical instruments. Spray coagulation function provides faster coagulation and stable clinical results. It accurately covers the desired area of the surface so it saves operation time and recovery time backed up by faster hemostasis and coagulation. It provides convenient triple switch for cutting and coagulation. Users can also selectively use triple foot switch or Cut / Coag switch on hand probe. patient plate are also compatible with patient plate cable connected to ST-531. It is compatible with all types of single use patient plate available on the market so it could be used in convenient and economical way. 8.4″ color graphic LCD and touch screen for convenience and easy operation.